Three developers persuaded New Bern planning and zoning board members to hold off endorsing a proposed revised street ordinance, saying a Fire Department push for wider residential streets and bigger cul de sacs will hurt the environment and push up costs for new houses that could make affordable housing a thing of the past. The board voted unanimously (with one absent and one vacancy) to table the decision and send the proposed ordinance back to staff for further discussion and research. It was one of three option the board had: Approve it and forward it to the Board of Aldermen for further consideration, reject it, or table the discussion for the time being. The proposed ordinance does a lot of things, from cleaning up wording to classifying streets. It was proposed requirements increasing the minimum width of residential streets from 24 feet wide, to 27 feet wide, and to increase the diameter of cul de sacs to 96 feet, that got three developers going during Tuesday’s meeting. A photo provided by the New Bern Fire Department shows the problem it encounters on narrow residential streets: Not enough space for the equipment, and not enough room for residents to evacuate. The Fire Department has been pushing for the wider residential streets out of safety concerns. 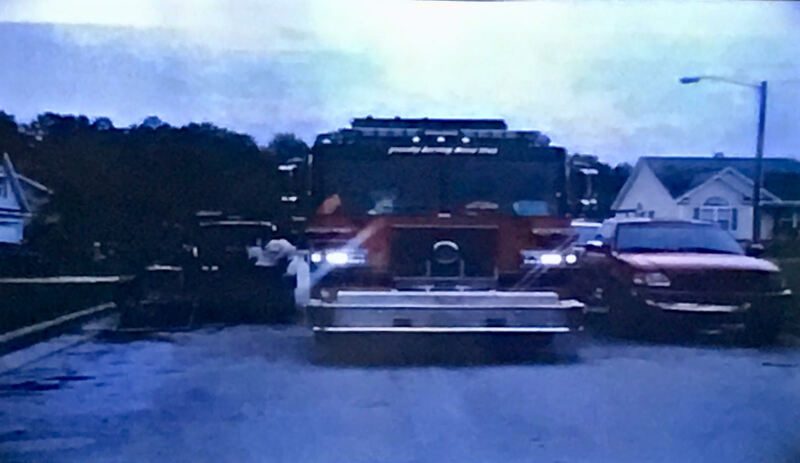 Fire officials, who were not present at Tuesday’s meeting, say that 27 feet is the minimum width necessary to provide access to its bigger ladder trucks and for them to deploy their stabilizers, while still leaving room for residential evacuation if it is necessary. Kenneth Kirkman, an attorney and Carolina Colours developer, said changes to city building rules over the past years have steadily driven up costs to develop new subdivisions, and these new changes would have unintended, undesirable consequences. For example, the city will happily take over maintenance of a new subdivision’s streets — as long as those streets have curbs and gutters, which make streets last longer but greatly add to the cost of development. The city also requires one side of the street have a sidewalk. Under the proposed rules, the minimum width for a street right of way, including sidewalk, would be 57 feet, an increase of 3 feet. The minimum diameter for a cul de sac would be 96 feet — 3 1/2 times the size of the room where the Board of Aldermen meets, he said. It would also make it prohibitively expensive to develop more affordable subdivisions, he said.